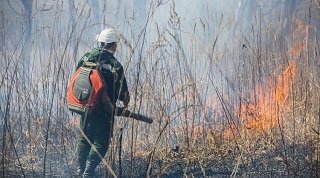 Three forest fires extinguished in Primorye over the weekend. According to the information by the 11th of February, there are no active fires on the territory of the region. On the 9th of February there were three fires in the Pogranichniy region, Ussuri and Dalnegorsk urban districts. 15 employees of the Primorye air base and three units of equipment worked with the fire fighting. On the 10th of February forest fires is not fixed in the region. Currently 23 thermal anomalies have been identified on the territory of the region. Since the beginning of the year, 44 forest fires have been registered on the lands of the forest fund of Primorye. Fire season was officially opened in 20 municipalities of Primorye. In 10 municipalities, the opening of the fire season will be announced from March 15. The special fire regime continues to operate in four districts of Primorye: Khasansky, Partizansky, Lazovsky districts and Ussuriysky urban district.